This volume brings together some of the most well-known and highly respected commentators on the work of Jacques Derrida from Britain and America in a series of essays written to commemorate the life and come to terms with the death of one of the most important intellectual presences of our time. Derrida’s thought reached into nearly every corner of contemporary intellectual culture and the difference he has made is incalculable. He was indeed controversial but the astonishing originality of his work, always marked by the care, precision and respect with which he read the work of others, leaves us with a philosophical, ethical and political legacy that will be both lasting and decisive. 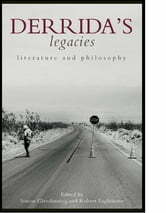 The sometimes personal, always insightful essays reflect on the multiple ways in which Derrida’s work has marked intellectual culture in general and the literary and philosophical culture of Britain and America in particular. The outstanding contributors offer an interdisciplinary view, investigating areas such as deconstruction, ethics, time, irony, technology, location and truth. 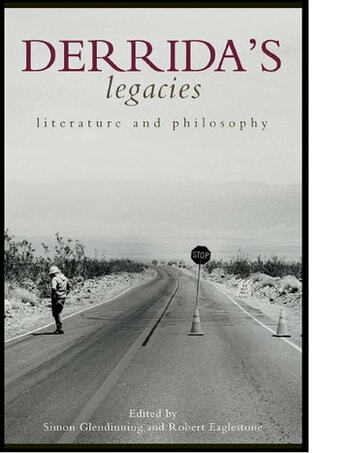 This book provides a rich and faithful context for thinking about the significance of Derrida’s own work as an event that arrived and perhaps still remains to arrive in our time.